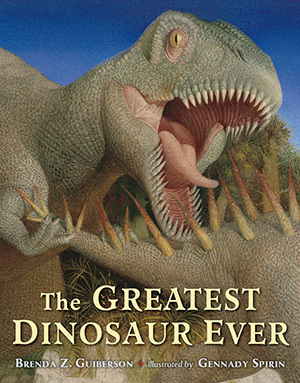 "Fascinating facts and spectacular illustrations will inspire young readers to choose their own favorite dinosaurs!" Which dinosaur was the greatest? Was it the tallest, the biggest, the strongest, the smartest, the weirdest, the fastest, or the smallest? Or was it the oldest bird, the best parent, the one with the best night vision, the best armor, or the longest tail spikes? ★ "Whether read aloud or pored over individually, this book is sure to please anyone who has ever wondered about dinosaurs." "Grand in scale, distinguished in appearance...here's another handsome book for the science shelves." The Greatest Dinosaur Ever Activities!